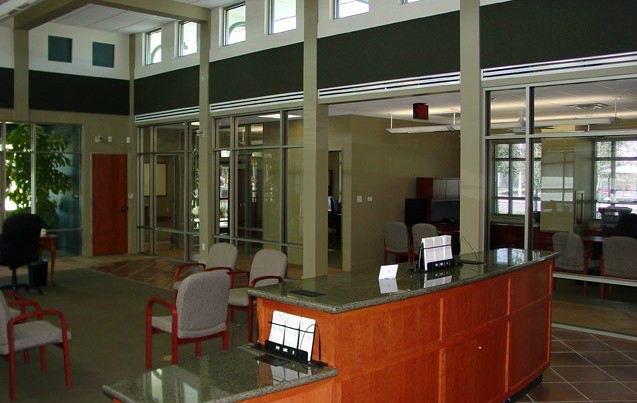 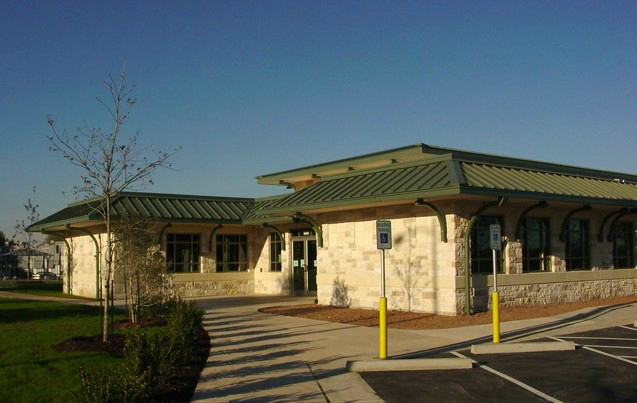 6,450 SF - $1.4m - completed 11/2003 Earned both AGC Local and State awards New construction For over 20 years the Austin Federal Credit Union was located in a windowless space inside a federal building. 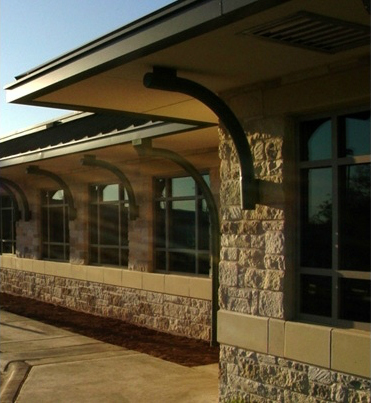 When they decided to build their new headquarters, they wanted it to be filled with daylight. 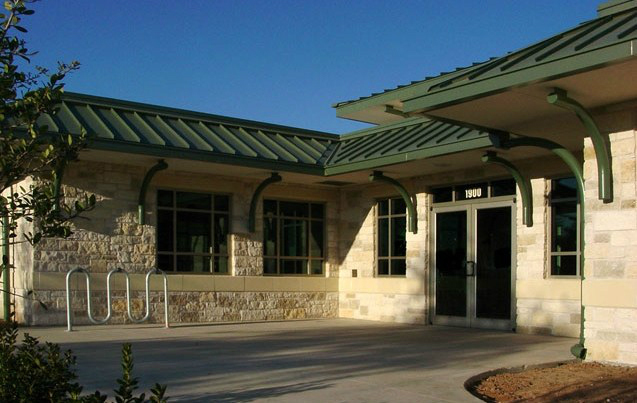 Careful siting and a dimming system that automatically dims as the sun grows stronger help this building to perform 43% better than the State Energy Code. 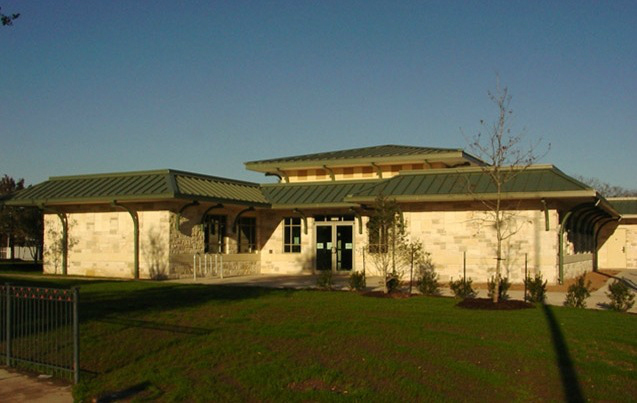 The building earned a 2-Star rating in the Austin Energy's Green Building Program. 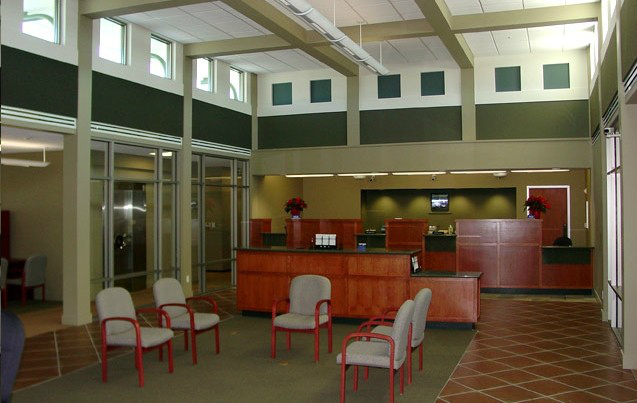 The building features a full-service drive-thru with five customer service lanes, ATM, and night depository; an open lobby with natural light provided by a open clerestory; a Member Service area with a safety deposit vault; administrative offices, President's and CFO's offices and a 500 SF conference room; and, a back office with break room, vault and other support areas.